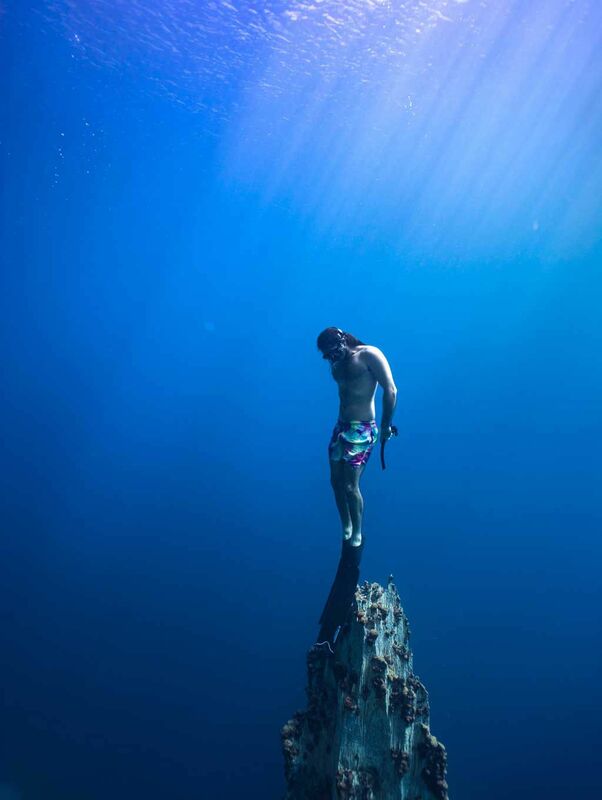 Award-winning Australian freediver Adam Stern has left the world collectively holding their breath after posting a risky game of hide and seek online. The catch – the game took place 45 metres under water in the Philippines, and he was ‘seeking’ his diving gear, scattered across the ocean floor by his wife. 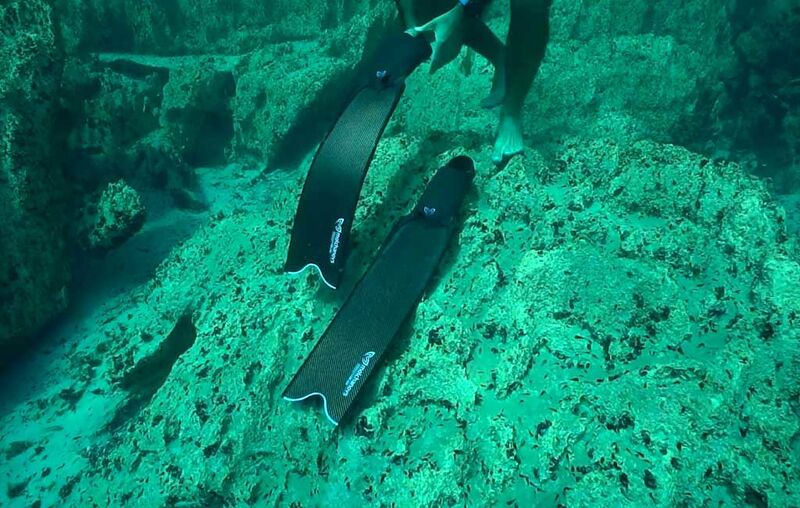 The video was shot while the couple were exploring Barracuda Lake in Coron, the Philippines. His wife dispersed the gear throughout the stunning lake, leaving Adam to swim around looking for it at alarming depths, and then assembling it — all without coming up for air. Not everyone’s idea of a fun holiday activity. Freediving is a form of underwater diving in which the diver is required to hold a single breath for the duration.It’s definitely not a sport for amateurs, requiring a high level of skill and exposure to high ambient pressure. Luckily, Adam was ranked fifth in the world in 2016 for the ‘Men’s with Fins’ category, and can dive an astonishing 104 metres in one breath – not that it makes the video any less nail-biting to watch, check it out above.Freediving professionals are known to hold their breath for up to 22 minutes (I KNOW) and dive at depths of more than 200 metres. 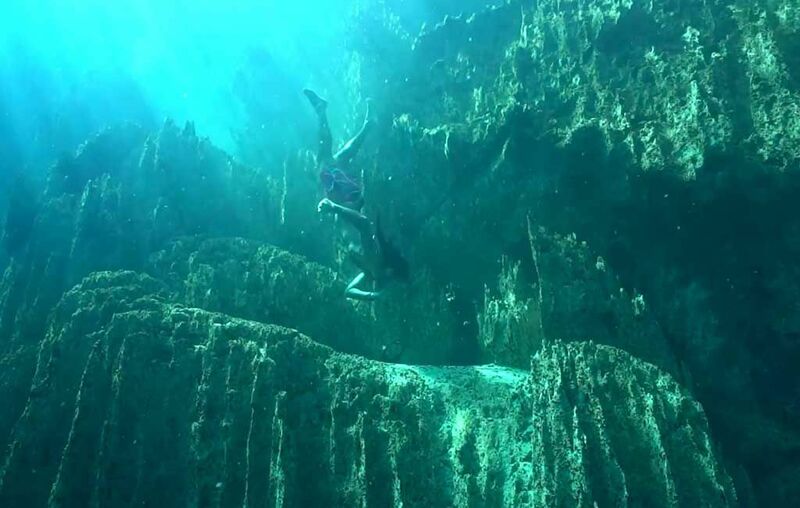 However, stealing the champion’s thunder in the clip above is the stunning marine-scape of Barracuda Lake.Made up of jagged limestone caves and rock faces, it’s an incredible spot for divers to explore. 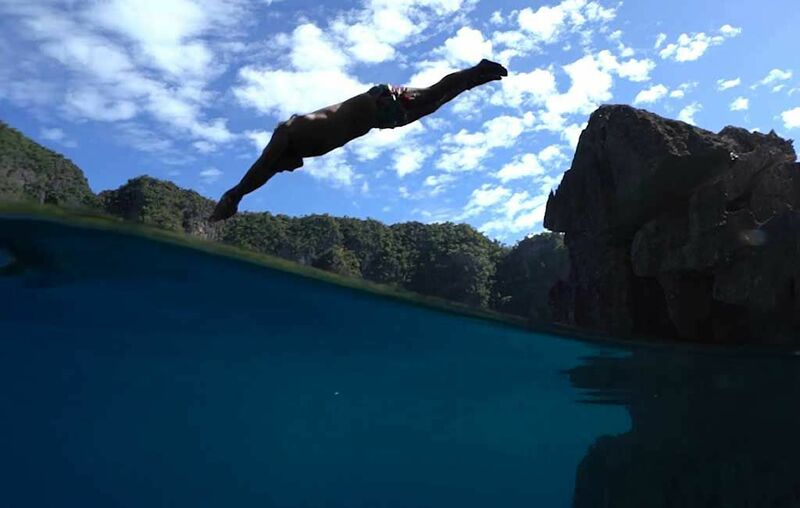 The Philippines is already a diving hot spot, but Coron in particular is known for its incredible World War II shipwrecks, freakishly warm water temperatures, and limestone encircled lagoon, supposedly formed by a sink hole.